We were the largely known firm of providing the great industrial ranges of the Plastic Chain Belt Conveyor System. 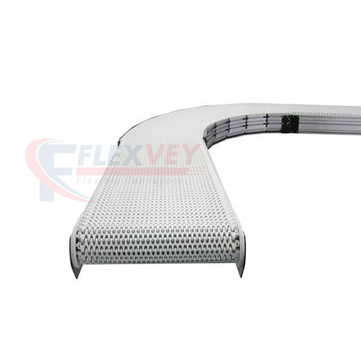 Our plastic chain belt conveyor system can make both even and vertical curves inside one transport unit. We can do nearly anything in practically any setup with these plastic chain belt transports. We used to supply our conveyor system generally to the food dept, bundling, pharmaceuticals, and assembling. As we are making these belt conveyor system with the strong quality of materials so it is sturdy in nature and lasts for longer number of years. Our company has actualized plastic chain belt conveyor at numerous areas all through the India and it is incredibly well with its structure and functionality.